NeoNickel has been serving customers for over 30 years with unrivalled metal profiling at our state of the art facilities. These facilities can cope with the most demanding of requirements, producing superior materials and utilising the unmatched expertise and in-depth knowledge of our metallurgists. Our state of the art metallurgical services provide clients with a full range of professional assistance. Corrosion studies focus on duplex stainless steels and corrosion resistant alloys. 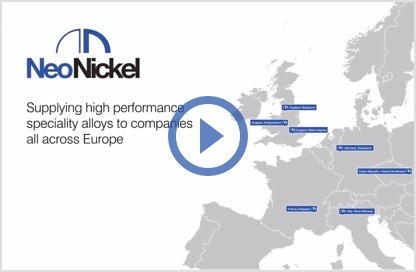 Our European lab offers comprehensive facilities for alloy corrosion and high temperature oxidation testing. Our team boasts more than 30 years’ experience in this crucial heat treating arena and have carried out many dozens of long term high temperature oxidation tests. Corrosion studies focus on duplex stainless steels and corrosion resistant alloys. The team has studied iso-corrosion curves in acid, stress and crevice corrosion and critical pitting. With additional help from SEM equipment and multiple optical microscopes, our team is ideally placed to advise on the best alloy for your application. Our team of applications engineers works in conjunction with engineering companies, fabricators and the end user to specify the best material for any application. Quite often these studies begin with a failed piece of equipment or material. With our digital microscopes, polishing equipment and failure analysis reports, these studies will assist in determining the cause of failure. We will also provide data on alternative alloys to increase the life expectancy of your equipment while minimising costs. Our expertise is such that we have previously been retained to test and design bespoke ZERON® 100 (UNS S32760) forgings used in demanding sub-sea applications. We have also been active in the fatigue and corrosion testing of ZERON ® 100 (UNS S32760) high strength slick line for use in the offshore oil and gas drilling industry. At NeoNickel we offer positive material identification (PMI) services using Olympus and Niton XRF analysers. This straightforward but important service is complemented by a hand held analyser, which is used at every one of our stocking facilities to verify the quality and accuracy of the material that is shipped. These analysers also provide an efficient means of identifying material that has already been in service. 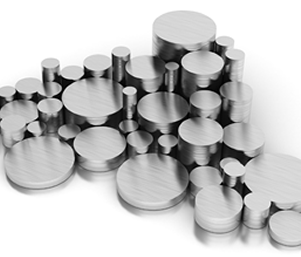 In this way we can confirm what material may be required for any reconstruction and also justify any credits for your alloy scrap. For the most accurate results, testing sample materials in a live process is ideal. ed with MIG and TIG wire for the purposes of weld qualification testing. 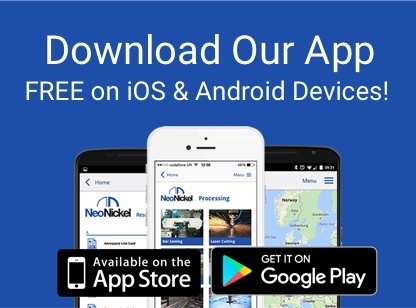 With more than 30 years’ experience, state of the art testing facilities and industry leading expertise, NeoNickel is your natural partner for metallurgical services and testing. 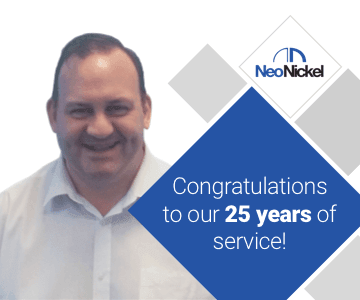 NeoNickel has been serving customers for over 30 years with unrivalled metal profiling at our state of the art facilities. These facilities can cope with the most demanding of requirements, producing superior materials and utilising the unmatched expertise and in-depth knowledge of our metallurgists. 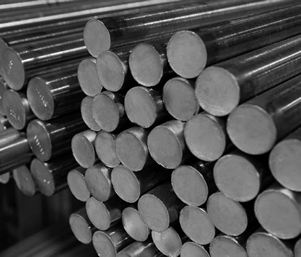 Our state of the art metallurgical services provide clients with a full range of professional assistance. With more than 30 years’ experience, state of the art testing facilities and industry leading expertise, NeoNickel is your natural partner for metallurgical services and testing.